The study begins with a comparison of the phonetic features of contemporary literary Bulgarian and Macedonian languages and their history; besides the general characteristic of the lexical structure of modern literary languages is presented. In more details are compared shaping of nouns, adjectives, pronouns, adverbs, and the system of verb forms and categories. A list of prepositions, conjunctions, particles, interjections is adduced; The authorʼs attention concentrates on the grammatical function of prepositions in both languages. Also the basic information about the sentence syntax is given. As the editor and publisher of the magazines Razvitak (Development) and Otadžbina (Fatherland), as well as author of short stories, of the play The Badger before the Court, of poems and essayistic-critical supplements, Petar Kočić was directly engaged in the raising of the morale of the Serbian people concerning its preparations for the fight and liberation. His complete political and cultural engagement was a form of an open fight against the Austrian occupying authorities, as well as against the individuals in the service of the occupier. Kočić’s works evoked the authorities’ suspicion and that was why he was arrested. Kočić’s entire activity and rebellion was in accordance with the Young Bosnia movement. The speeches of Petar Kočić in the Parliament of Bosnia and Herzegovina were extremely critically severe regarding the unprincipled and authoritarian attitude of Vienna toward the Serbian people, as well as regarding the Serbian layer that was subservient to the occu­pying authorities. Kočić founded his political beliefs upon the democratic principles that resulted from the chain of historical events, especially in regard to the influence of the French Revolution on the subsequent historical events. The relevance of these beliefs keeps increasing today considering the neocolonialist policy of the USA and London in the world and the slavery of the millions of workers on our Planet. The author analyzes the monuments of ancient Russian bookishness that do not meet the general trends in the development of narrative forms of that epoch and treats them as illustrations of unrealized potential – manifestations of the literary trends that were not implemented due to a number of objective and subjective reasons. The study primarily focuses on «Starosvetsky pomeshchiki» and discusses the problem of European ideology and antique tradition of Russian prose on XIXth century. The article deals with reconstructs of the events and persons of empi­rical reality refracted in the works that made up the second «Complete Works» (1914) published during the life of D.S. Merezhkovsky, which were not included in the «Autobiographical Notes» (1913), placed in last volume of this edition. Meanwhile, according to the concept of the researcher, the given data may be regarded as the source and context of the entire collected works. Klimova K.A. What does ΔΡIΜΙΕΣ stand for? Published the text of a paper read by the author at the International Scientific Conference «200th anniversary of the birth M.U. Lermontov» (Petersburg, October 2014). The author analyses two aspects of the theme «Moscow University and Lermontov»: Lermontov – a student at Moscow University, the study works of Lermontov at the Moscow University. were named those researchers of works of the poet (from S.P. Shevyrev to A.I. Zhuravleva), which made a significant contribution to these investigations. The author remembers a seminar of V.N. Turbin and its participants, who continued the tradition of studying Lermontov at Moscow University. The author analyzes the literary works and socio-political views of T. Shev­chenko in the context of the formation unifying idea in the Slavic world and draws attention to the existence of another trend – the formation of national identity and national literatures. Предложенная статья является попыткой исследования со­циально-философской проблематики в творческом наследии Т.Г. Шевчен­ко. Проанализированы вопросы социальной этики, разрешения проблем социальной справедливости и поиска Правды Божией в жизни социума, роль нравственного совершенства личности в процессе духов­ного бытия общества. The article provides an overview of the reception of literary creativity Shev­chenko in the Slavic countries and the Slavic peoples, starting with the earliest steps in 1840–1860-ies and ending year of the 200th anniversary of the poet. Proposed a list of the main interpretations of this work and personality Bard, prevailing in Ukraine and in the Slavic world. The author examines the attempts to destroy the canonical image of Shev­chenko in the Ukrainian culture, to connect it to the processes that occur in Ukra­inian society today. And makes the conclusion that the Shevchenkoʼs creativity is still had the sacred meaning, and his biography, as before, is mythologized. 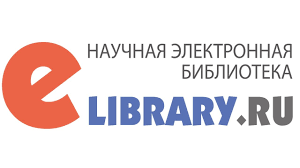 The article presents some of the intermediate results of the work on a three-year project «Analysis of the theoretical bases and operations for the active dictionary of the Russian language selection». The core of the research was based on the ideas of Anatoly Polikarpov on defining and analyzing systemic relations between individual dictionaries. Here the most relevant results of the analysis of the test data of the language knowledge of 70 probationers will be described. The analysis of the folk texts from the Arkhangelsk village concerning the afterlife were reflected. Solntseva N/ Kunjaev S.S. Nikolai Klyuev. M.: Molodaya Gvardiya, 2014. 647 p.
Krasovets A. Slovenian literature of the XXth century / Ans. Ed. N.N. Starikova. Moscow: Indrik, 2014. 325 p.